Net weight: 200g/Tinned ,It about 40-50pcs per Tinned, Bidding Price for one Tinned ONLY. 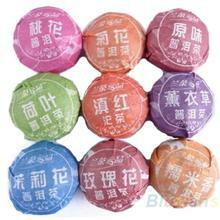 fragrant PU ‘ guizhi tea arbitraging er yunnan tea raw material for , by the chief engineer brilliant tertullian developed zou . 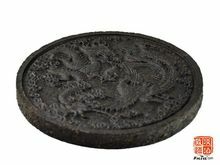 fine workmanship , style elegant . 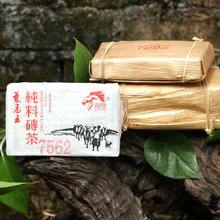 underlines high mountain big tea tree yunnan early mudfat natural , possesses the molding tea levitical elastic the moderate natural fermented . 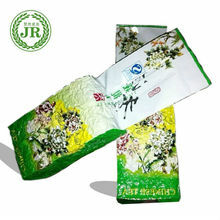 contains rich material , color smell good , as gifts for relatives and collection treasure . 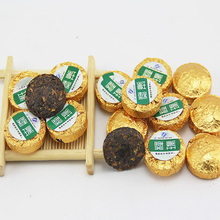 the paragraph tea cord knot immaculately , rich-looking repressing the , liquor color red and bright lustrous and spiritoso , entrance thick flavor fragrant high , flavorsome mellowness , securinega fragrant , fragrant youtong qi , slow and protracted , fenchols back the taste sweet . pro can look , all of tea is agamatolite do oh , jadeites tea do . 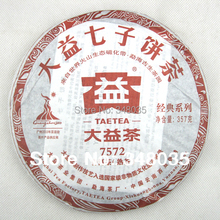 and tea staleness very good , leaf base coat oil ‘s , like drink tuo tea have pro , mustn’t miss good tea oh ! ! !